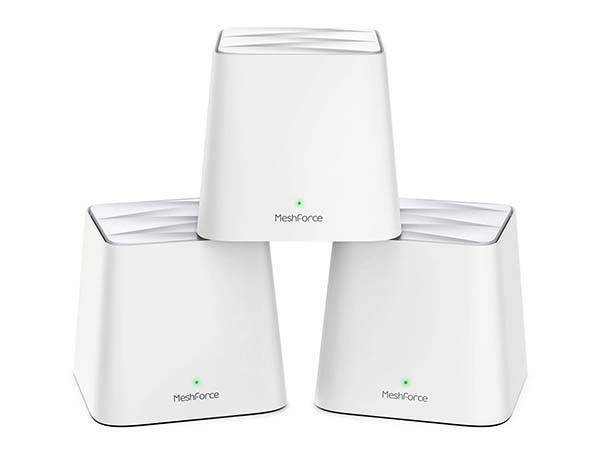 MeshForce M1 AC1200 home mesh WiFi system delvers 4500 sq.ft signal coverage with three units. Need more features? Let’s keep checking. The M1 is a high-performance home mesh WiFi system that consists of three M1 units. Each unit shows off a minimal and elegant appearance design, and the solid white exterior and compact form factor allow you to easily place it anywhere in your house. 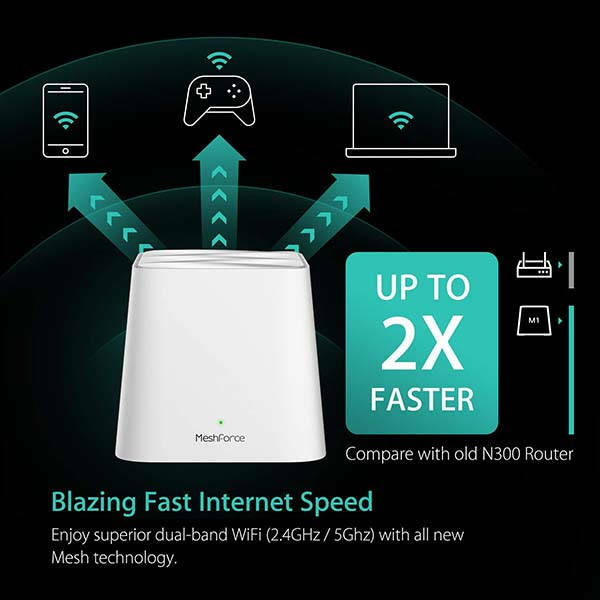 Using three M1 units, the home WiFi mesh system is able to cover more than 4500 square feet, and the AC1200 dual band WiFi connectivity supports up 60 devices, and it works as a hub to connect your smart devices from PC, mobile, TV, to IP camera. Furthermore, its flexible deployment allows up to 6 points for optimized signal transmission wherever you need WiFi. 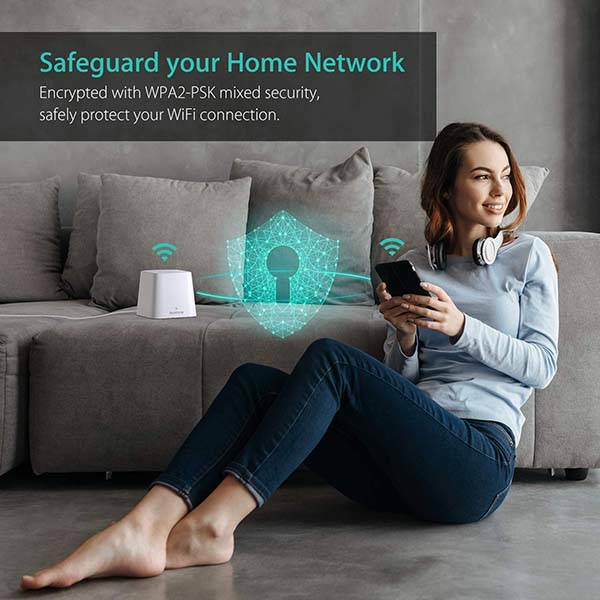 Moreover, using WPA/WPA2 PSK mixed security solution, the mesh WiFi system provides safe connection to your smart home, and its isolated WiFi zone allows your visitors and friends to guest network while safeguarding your privacy and smart home access. MeshForce M1 AC1200 home mesh WiFi system is priced at $219.95 USD. If you’re interested, jump to the product page for its more details.